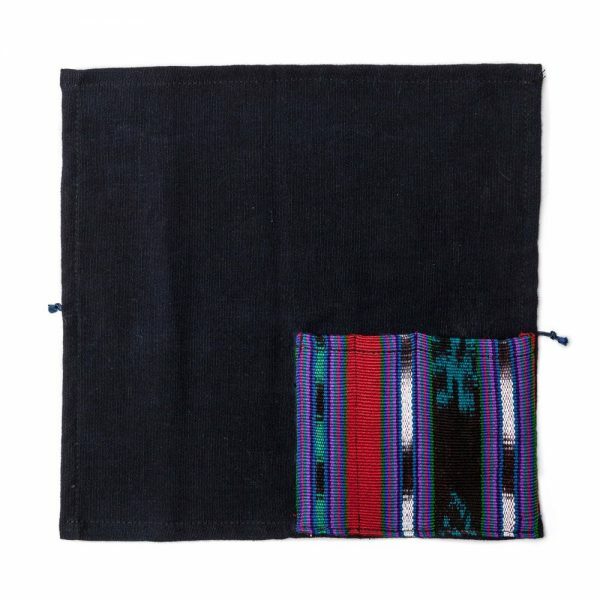 The pockets are made from upcycled Indigenous Mayan cotton textiles. 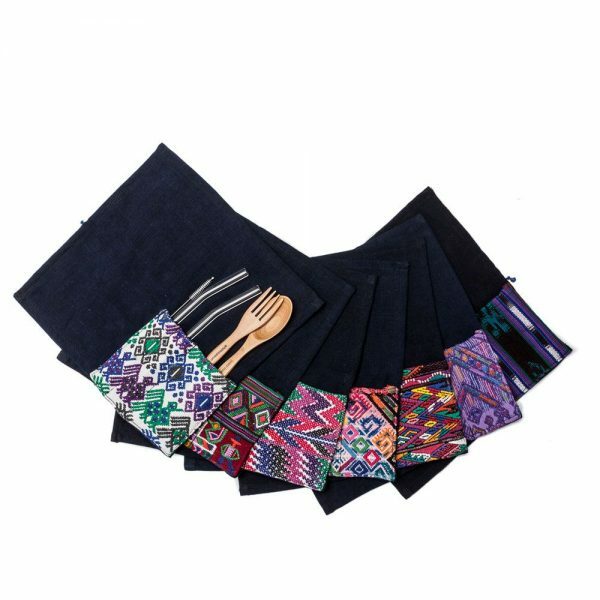 They come in seven different patterns, from five different Mayan communities (see “options” below for more details). Each community has their own distinctive pattern and colours, which are related to their stories and customs. Made at an Indigenous Mayan women’s cooperative in Guatemala where the artisans are trained and paid a fair wage. Additionally, they receive workshops on nutrition, domestic violence, and valuing their work as women. 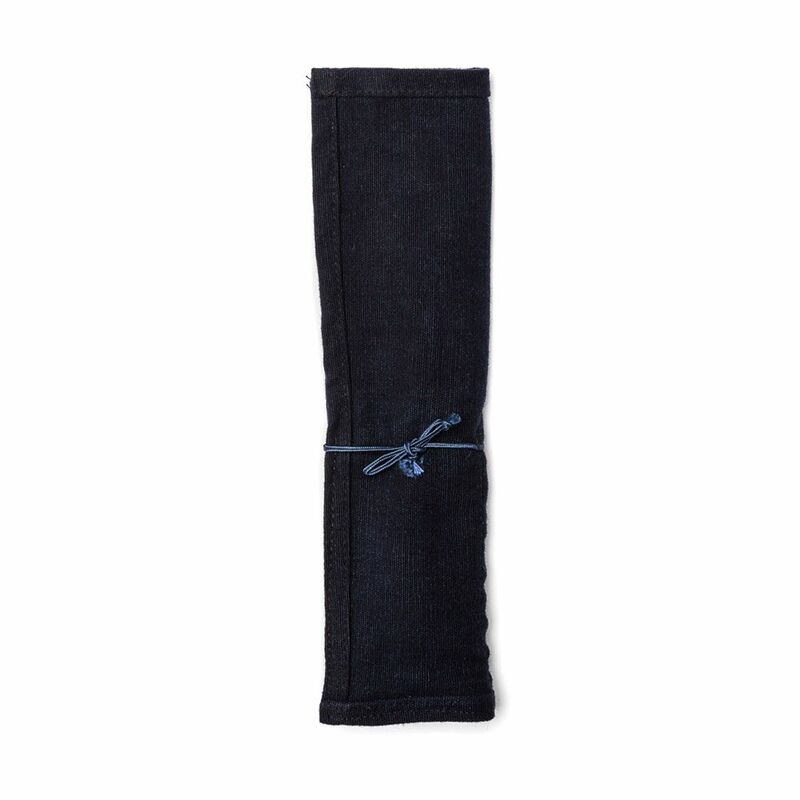 Can also be used as a (reusable and washable) napkin! Exclusive to Ahimsa Eco, the fair trade eco travel pouch is made from upcycled fabrics that has been diverted from landfill and will not bleed colour when washed. However, to preserve the beautiful and vibrant colours, we recommend hand washing in cold water with a mild detergent. If you would like a specific pattern, please indicate in your order which one(s) you would like. 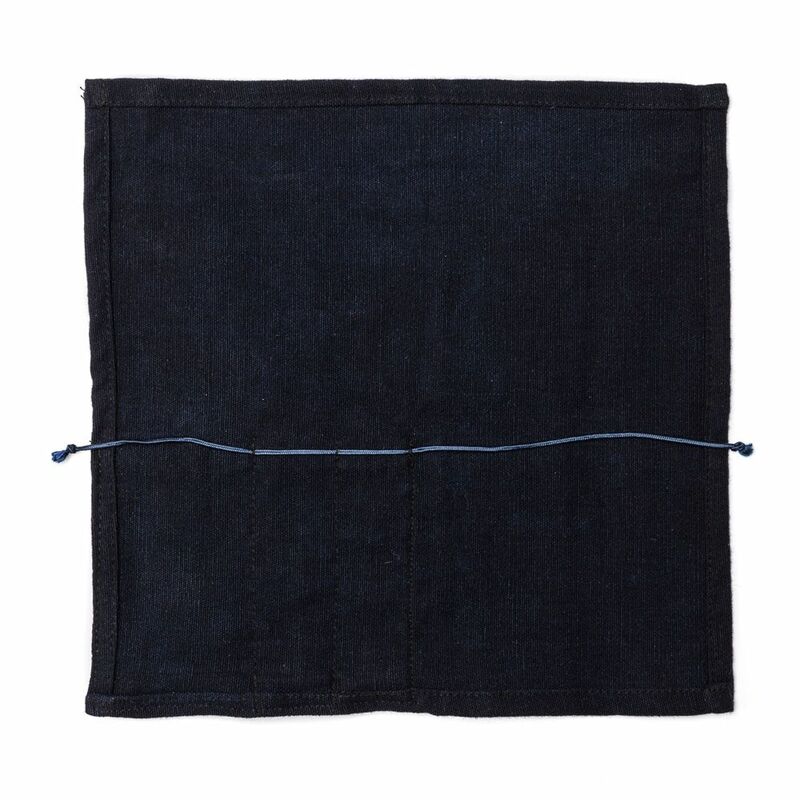 NOTE: These are small squares cut from a much larger textile; as such, pouches from the same fabric will vary. Your eco travel pouch may differ from the photo shown for the pattern that you select. 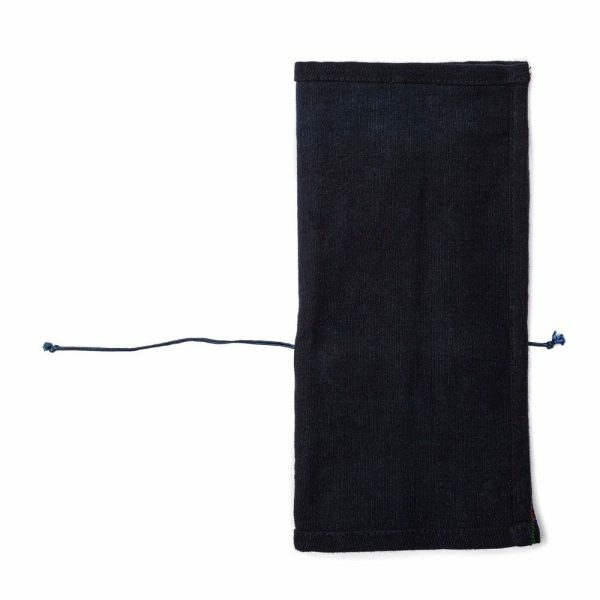 I use this pouch to hold my straw, straw cleaner and spork when I travel! 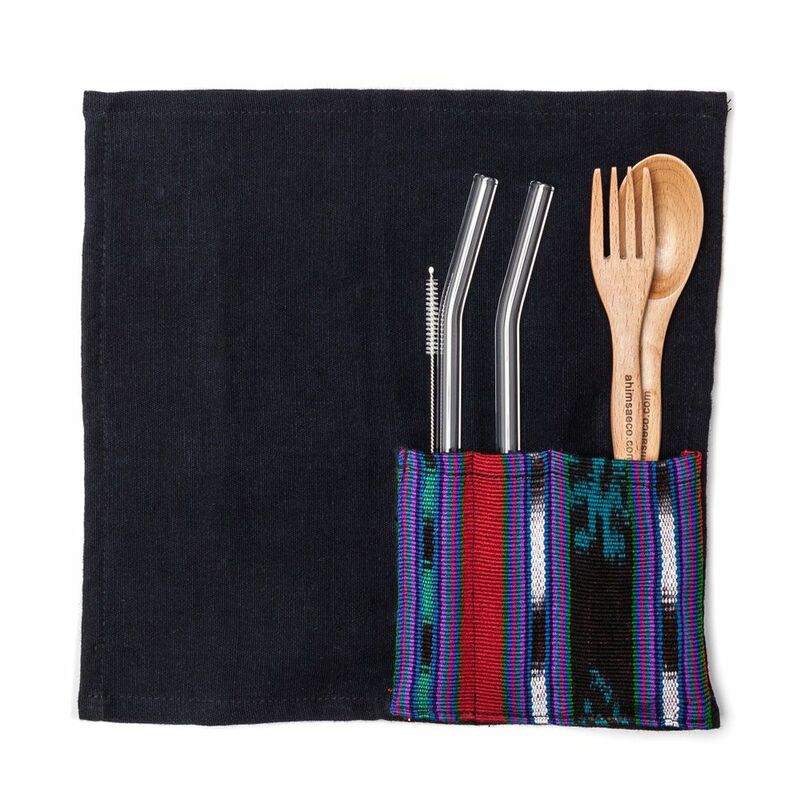 love that it protects my utensils from getting dirty in my carry on – and it’s lightweight so it doesn’t weigh me down! and love that its made from upcycled fabric.